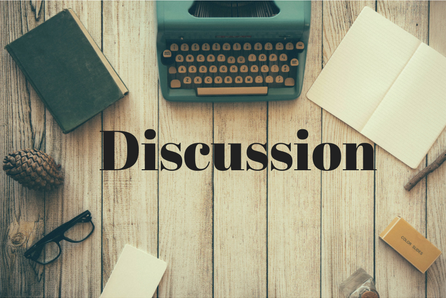 Felt like doing something a little different today, so I decided to talk about what I think makes a good Thriller/Mystery novel. If you are anything like me, you might have a harder time reading thrillers and mysteries than you do reading everything else. I love watching thriller/mystery shows and movies, but when it comes to pen and paper it just can’t seem to hold my focus. I almost never read those types of novels specifically because I don’t feel as connected to them as I do other genres. These novels might just be the hardest to write because of how complex they have to be. A good thriller/mystery has to keep you on your toes while still managing to make you care about what is going to happen. I find that in a lot of thrillers I don’t really care about the characters because we don’t really get anything likable about them. Thrillers usually star characters we don’t like or respect and therefore don’t really care what happens to them because of it. The times that I’ve enjoyed thrillers was because I liked or had a general respect for the protagonist or whomever we are rooting for. A great example would be The Girl With the Dragon Tattoo. There is no book character out there as badass as Lizbeth Salander. She is just so well rounded. Lizbeth Salander is one of those characters that always surprises me, I never know what she’ll do and I love that. Another thing absolutely necessary is a plot that twists and turns. No one likes a mystery that can be guessed halfway through the book. You have to be hit with a plot twist or it just isn’t worth reading, especially considering how long thrillers/mysteries tend to be. No one wants to waste their time on a boring book. Another aspect that is so so important is the antagonist. The hero is only as good as the villain is bad, we all know this. So if the antagonist of a story isn’t truly driven and complex then there is no point. What do you think is an important part of a thriller/mystery novel?